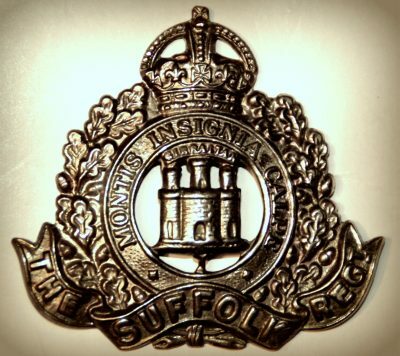 Regiment: Suffolk Regiment, ‘B’ Company, 7th Battalion. Relatives Notified and Address: Son of Richard H. & Ellen Brunning, of 25, Westerfield Road, Ipswich. 1901 16, Orchard Street, Ipswich. Sidney was 3 years old and living with his parents & brother. Richard Henry Brunning, 42, a Corn Chandler & Flour Dealer – own account, born Witnesham, Suffolk. Ellen Brunning (nee Jacobi), 37, born Ipswich. Ernest Richard Brunning, 6, born Ipswich. 1911 25, Westerfield Road, Ipswich. Sidney was 13 years old and living with his parents & brother. Richard, 52, a Corn Chandler – own account. Sidney is also remembered on the war memorial at St. Margaret’s Church, Ipswich.the Orwell Works Memorial Ransomes Sims & Jefferies, St. Michael’s Church War Memorial, Ipswich. 1 Pings/Trackbacks for "SIDNEY CLAUDE SEAMAN BRUNNING"